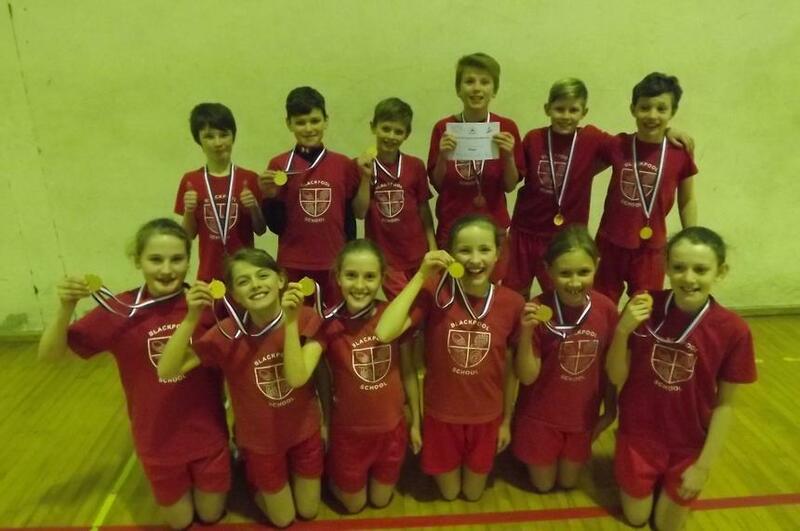 Blackpool C of E Primary school joined nine other schools in the South Devon area at Seale Hayne sports centre on Tuesday 3rd February 2015 to compete in the South Dartmoor Schools partnership indoor track and field athletics tournament. Pupils participated in a series of track events such as long jump, triple jump and seated throw during the morning session with Blackpool establishing a narrow lead over local primary school rivals Rydon and Bradley Barton. During the afternoon session the young athletes competed in the track events which involved a number of gruelling sprint and endurance relays. There were a number of changes on the leader board over the course of the afternoon which led to a nail-biting finish in the last team relay. Blackpool edged to victory with Rydon coming in second place. A fantastic achievement for our athletics team who now qualify for the County Finals which will be held ‘The Life Centre,’ in Plymouth and takes place later this term.